I hope you all had a wonderful holiday, I'm sitting on the couch digesting and watching some TV, it feels mighty fine. 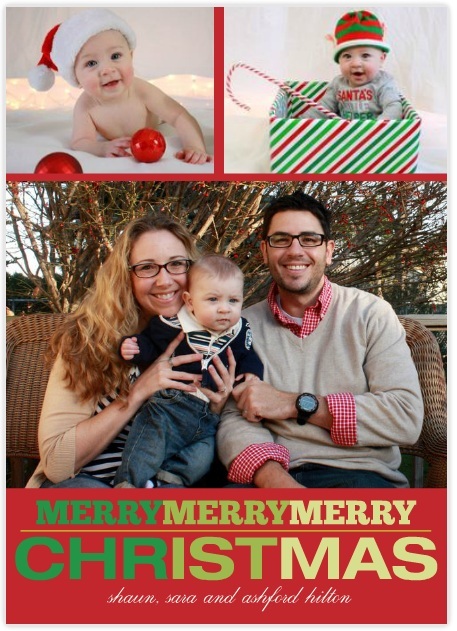 Now that everyone in real life has received our Christmas card, I thought I'd share it here. I used Mixbook for these cards, and they turned out really nice! And I snuck a few more pics on the back, because I had about 300 to choose from. This kid is photogenic, I'm afraid. 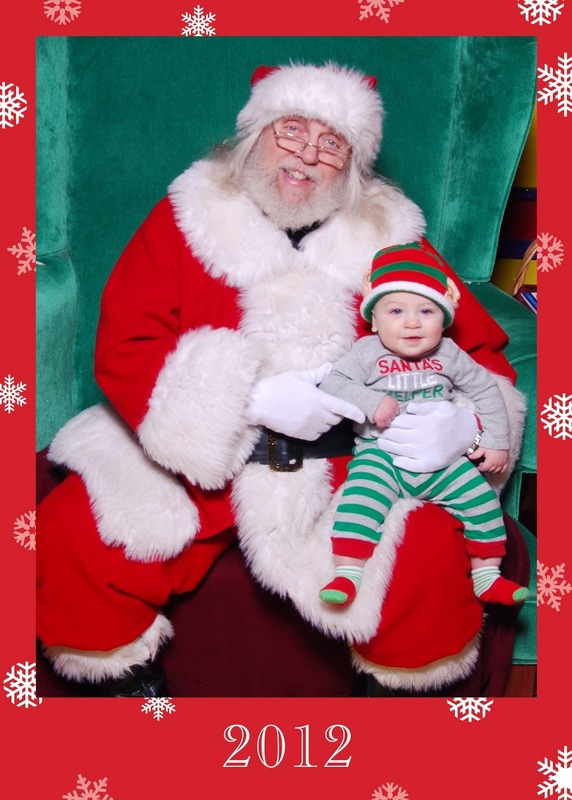 And yes, Ashford did visit Santa and was a complete angel. Or, elf. Random question - does anyone have an opinion regarding Nook HD+ or Kindle Fire HD? I received a Nook for Christmas and I'm debating getting a Kindle instead since I have an Amazon Prime membership. Discuss! He is adorable. Merry Christmas!!!! i love it!!! 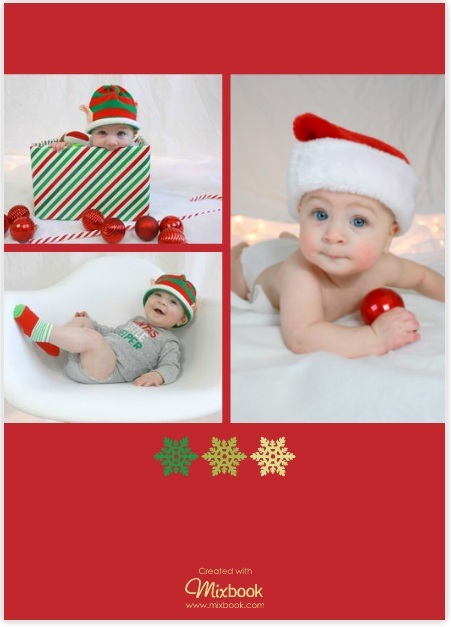 my favorite is the photo on the back with the hat and ornament close up. kid IS photogenic. He's got the most amazing eyes :) Merry Christmas!!! adorable pictures of you guys!! Merry Christmas! I was torn between the kindle fire and nook for a while until I narrowed it down to the kindle. I gave it to my husband for christmas as sort of a family gift and let him decide...he is the techy person in the family. he decided to go for the ipad mini and pay the extra $$. let me know what you end up going with. If you already have an Amazon Prime membership then go with the Kindle. From what I've read, the two devices are so similar that it comes down more to whether you're a Barnes & Noble member or an Amazon Prime member. I do have several friends with Kindle Fire's and iPad's who swear they love their Kindle's more. If you have Amazon Prime I would go in that direction. Might as well take full advantage. I have the fire that came out last year and like it just fine. I'm sure you had a great Christmas Day ... with the added delight of Ashton this year. Wishing you and the family a wonderful 2013.